Buenos días! Ya os enseñé el DIY de este sweater, y ahora os lo traigo en un look sencillo al que le aporta un toque divertido. Además alegra los tonos oscuros con algo de color, con la boina como guinda del pastel. Qué os parece? Feliz semana! Good morning! 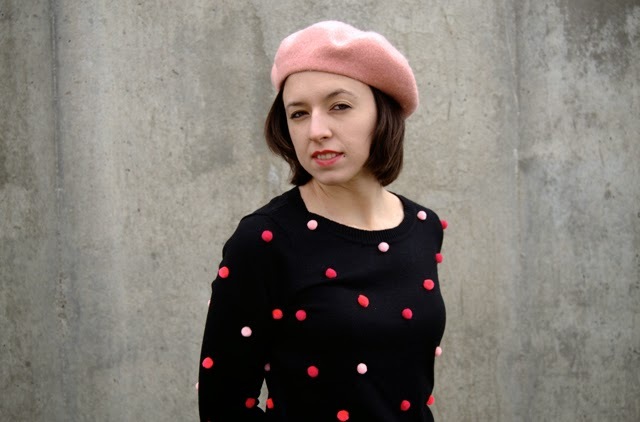 I showed you this DIY sweater already, and now I'm finally wearing it in a simple look, adding a joyful touch. 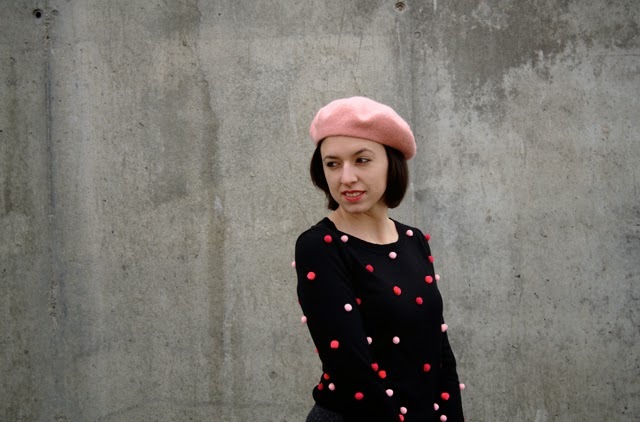 It also brightens the outfit with the pop of color, completed by the pink beret. How do you like it? Have a lovely week! This sweater is really cute!